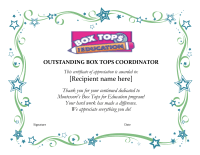 Print these colorful, tongue-in-cheek thank-you cards for a simple and thoughtful way to show your volunteers that you appreciate them. 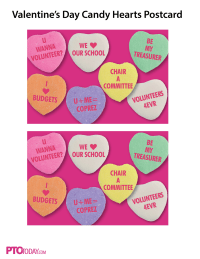 Show your affection for fellow volunteers and board members this Valentine's Day with a cute candy hearts card! 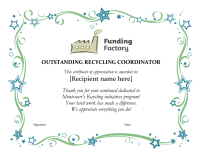 Print on heavy paper and cut apart, then write your message on the back. Two postcards per sheet. 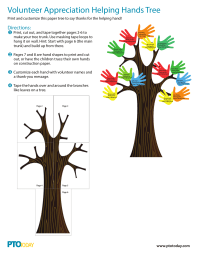 Colorful, customizable paper tree and hands to build a sweet "helping hands" tree that shows volunteers your appreciation. 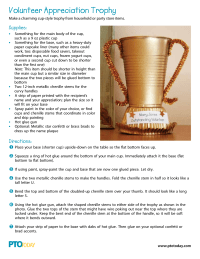 Supplies and directions to make a charming cup-style trophy from household or party store items as a token of appreciation for your volunteers. 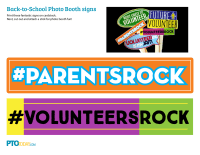 Sweet word cloud poster you can print and hang (or distribute) to show appreciation for your parent group's volunteers. 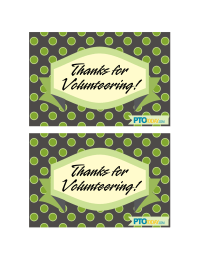 Thank your volunteers for their contributions with these cute postcards, available in two styles. These cute lotion gift tags say "Thank you for being a helping hand" and can be customized with the name of each volunteer for a small, thoughtful gift. These cute gift tags say "No one holds a candle to you" and can be customized with the name of each volunteer for a small, thoughtful gift. 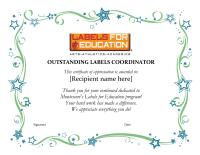 These cute candy bar tags say "For all the ways that you help out at school, thank you" and can be customized with the name of each volunteer for a sweet and thoughtful gift. Cute and colorful tags (8 per page) that say "Thank you for BEE-ing a volunteer this year! "; attach to a jar of honey for a small gift. Cute and colorful tags (12 per page) that say "You were MINT to be a homeroom mom! "; attach to mint plants or candies for a small gift. 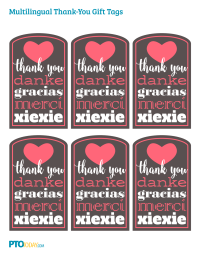 Cute and colorful tags (6 per page) that say "Thank you for all your THYME! "; attach to a thyme plant for a small gift. Cute and colorful tags (8 per page) to attach to lemon candies or lemonade for a small gift for volunteers. 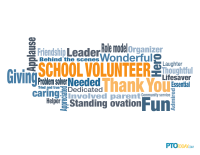 Word cloud poster to hang, frame, or give as a token of appreciation for a PTSA president's efforts.